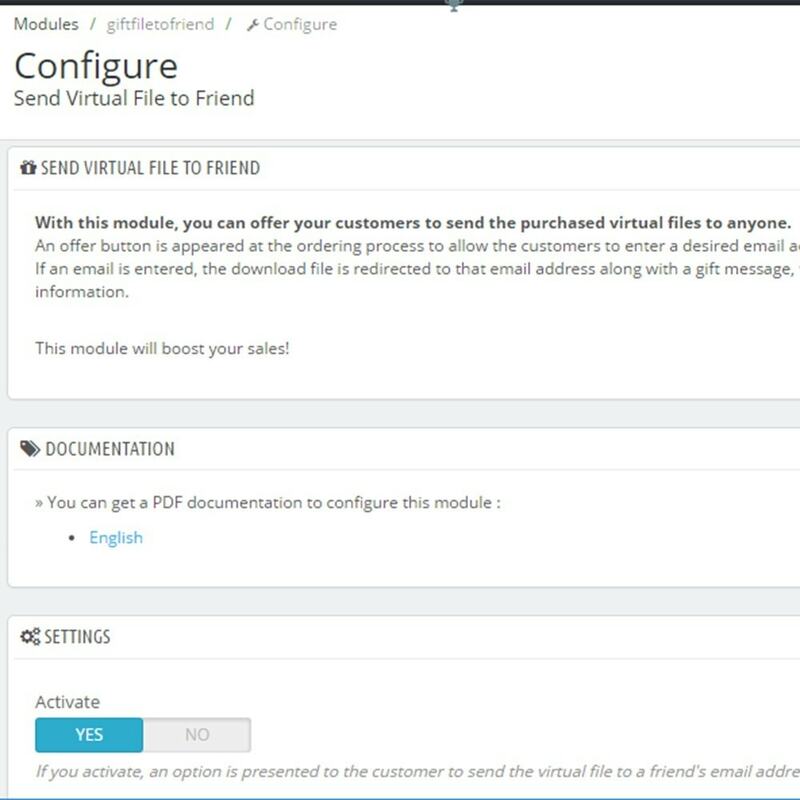 Present an option to your customers to send a purchased virtual file to a friend's email address. With this module, you can offer your customers to send the purchased virtual files to anyone. An offer button is appeared at the ordering process to allow the customers to enter a desired email address of their friend. 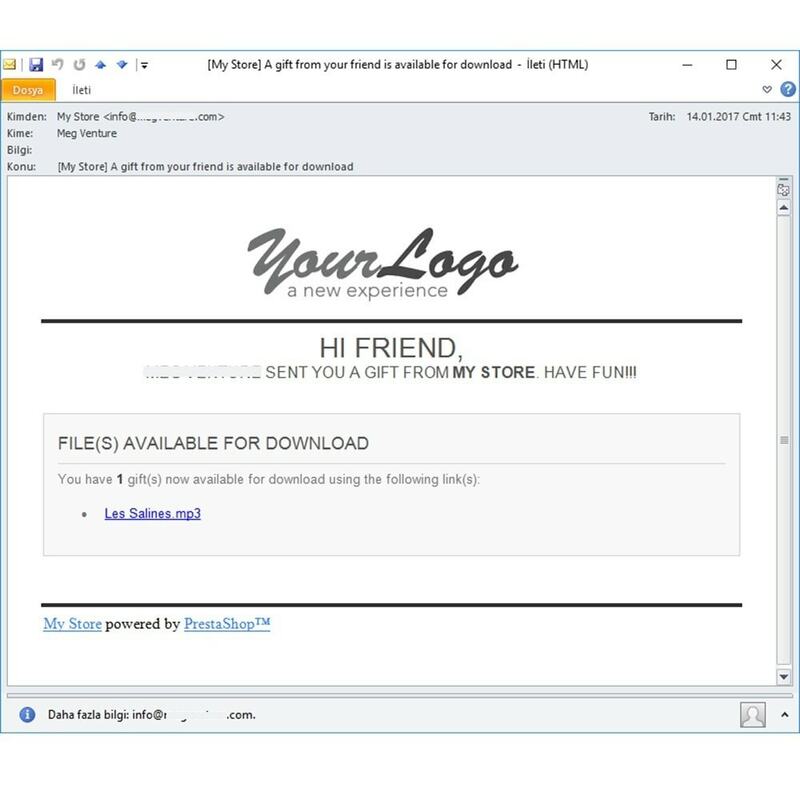 If a friend email is entered, the purchased download file is redirected to that email address along with a gift message, without invoice and price information. 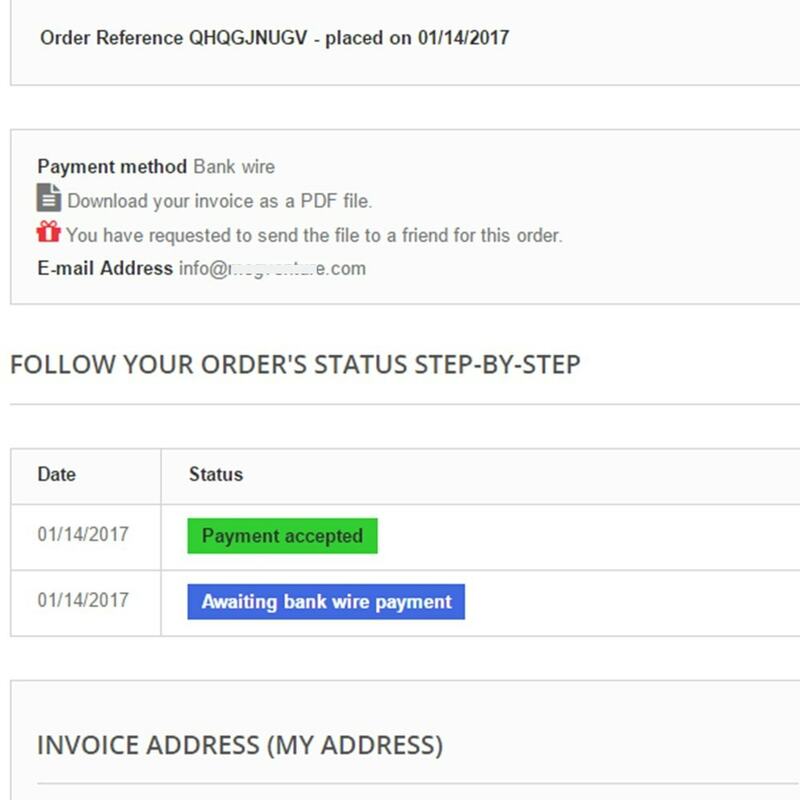 The buyer also receives all standard purchasing emails including invoice, download file, etc. The module will boost your sales. Customers can present music files, e-books, etc. to their friends. The feature can be disabled anytime with a simple button. The virtual file gift email is customizable. An additional option is presented at the ordering step to enter a friend email address. Only one email can be entered. Customers can send/present music files, e-books, etc. to their friends easily.